I have to come clean. I am not a fan of mattes at all. I'm a fan of eye-catching manicures and for me, the mattes don't do it for me. HOWEVER, it seems that a lot of the mattes are highly pigmented with shimmer to give them a more interesting glow. It is for that reason I have come to embrace them as a polish trend with a flaw that I can fix easily. Whether it's in the form of a french using a glossy topcoat over the tips or if I slap Seche Vite over the whole nail, it doesn't particularly matter to me. As long as I can morph it into my little fantasy shade, then so be it. The fact that it naturally dries quicker doesn't hurt either. My first foray into the mattes/suedes was with an OPI Ink Suede pedicure and while it turned our pretty, it chipped in two days. So that may be the only bone I have to pick with the trend that can easily be molded to my own expectations. For a busy person, durability is key. 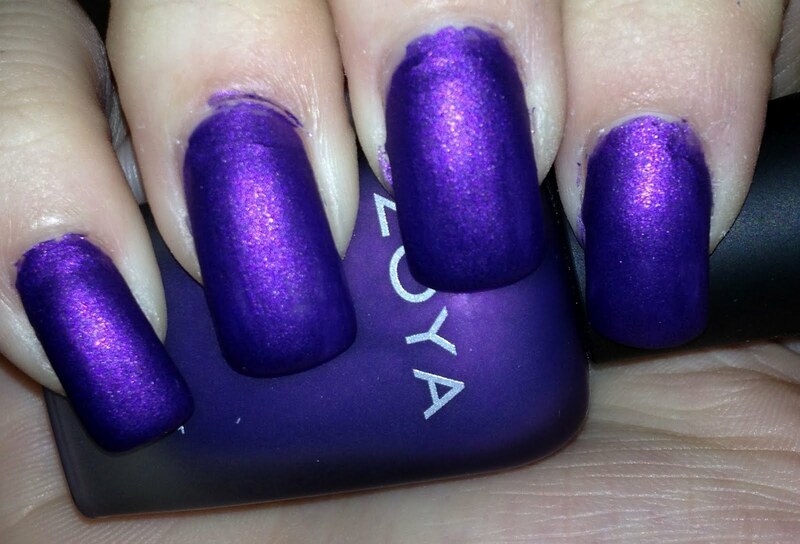 That being said, I have found my two Zoya mattes to be long-lasting. 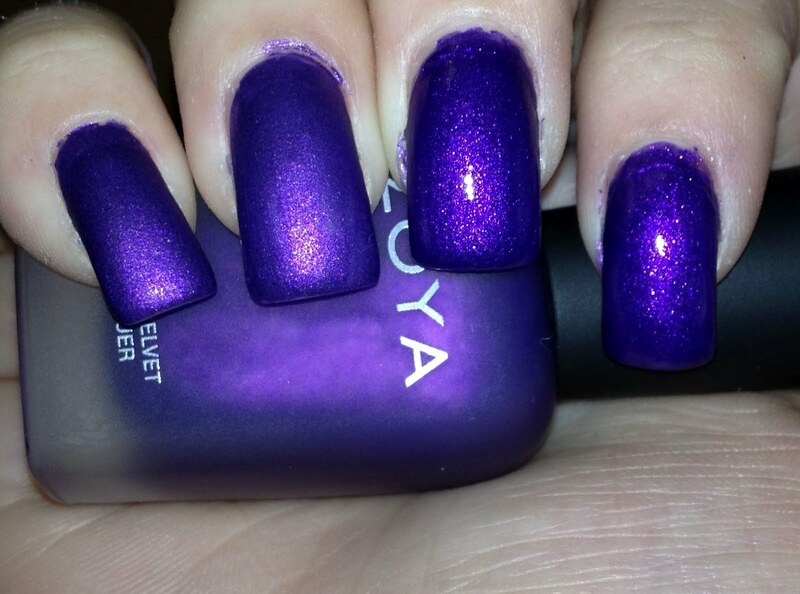 And here is the first… Zoya Savita is a blue-toned purple, though I wouldn't quite call her a purple. She does have quite the lovely glow about her and I do love that. But God knows, all I wanted to do was throw on a topcoat. So I did. *Exhales deeply* Ahh, much better. You can see the index and middle finger have a coat of Seche Vite over them and I really love the end result. It's like my middle ground between Mimi and Julieanne. And it's perfect. And remember to check out Rock it for Relay, where you can bid on various nail polishes and nail polish jewelry, including a soon-to-be posted ring of Savita, for the American Cancer Society! And trust me, she's gorgeous! So what do you think, ladies? Are you on the matte train? Or are you letting the train pass through the station? In honor of the Superbowl, with my Giants taking on the Patriots, are you going to pick Tart for Big Blue (Giants) or Anja for the Patriots for Day 21? Wowww! LOVE it with a glossy topcoat! I vote Anja, but looks like Tart is going to win this one. I vote Tart!! You never see good swatches of Tart!